Put a post with 4 stop signs on it in the middle of the intersection. 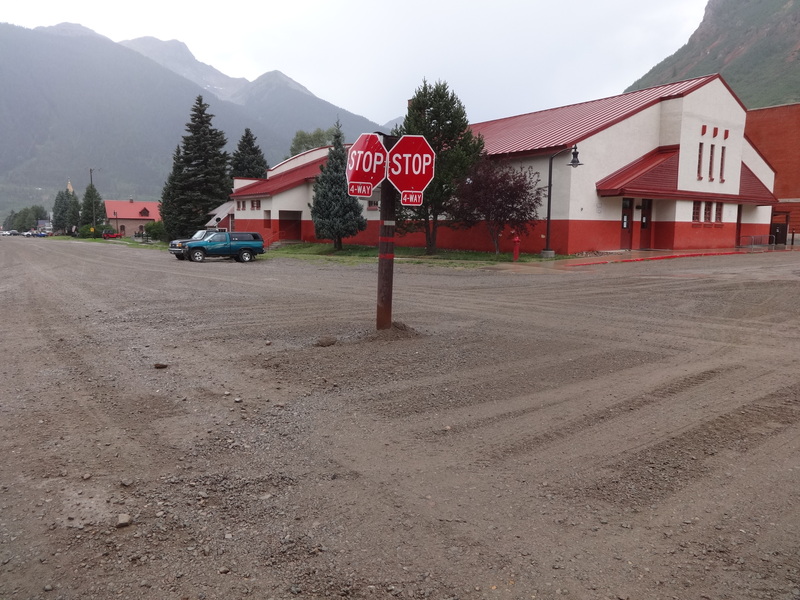 That’s one street away from Main St, but Silverton is a small town and tourists don’t use this street. 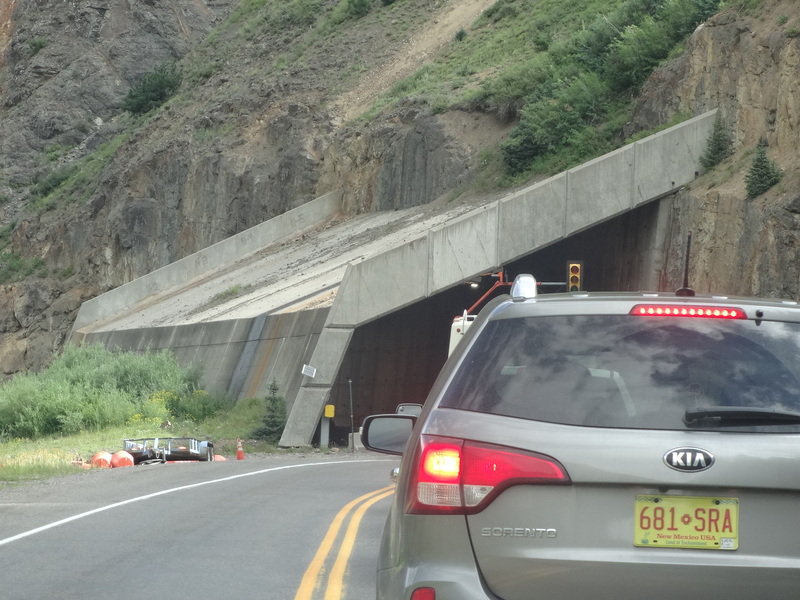 The “million dollar” road to Ouray winds through the high mountains, often without guard rails or passing lanes, but that is not unusual for backroad travel. 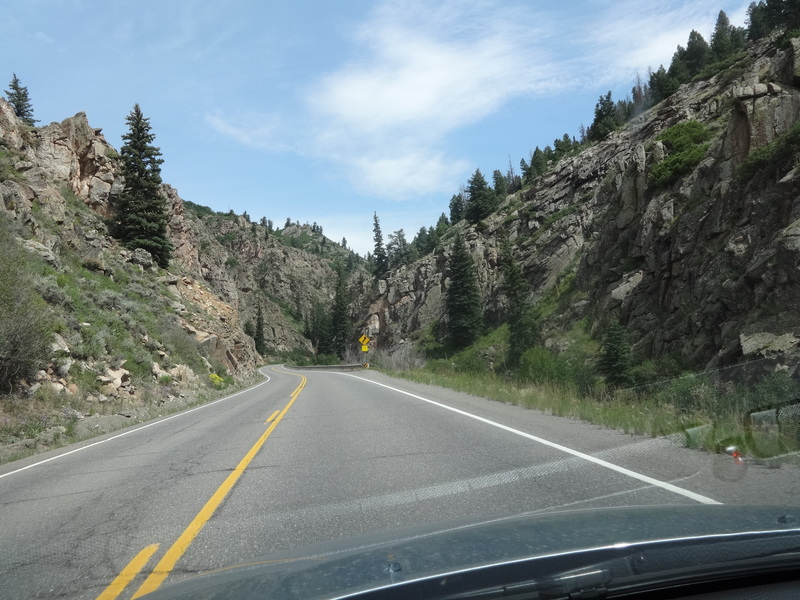 It’s the precipitous drops of many thousand feet just inches from the roadway that are. Roads still seem to disappear into impossible barriers. Ingenuity knows no limits. If you can’t stop the slide, you can tell it where to go. Mining despoiled the landscape but gave a growing nation the raw materials it needed. The price was paid in lives as well as landscape. 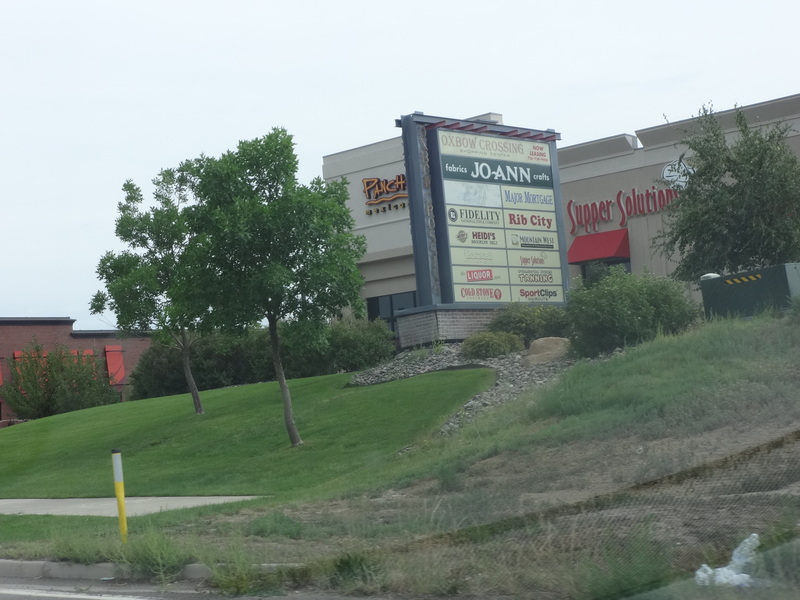 Now it seems to be the chain stores, strip malls, and big box guys that do the despoiling, giving us the products we want, but always at a price. I rediscover this part of our culture–absent since Yosemite–in Montrose, a mountain town that both mining and tourism have abandoned. 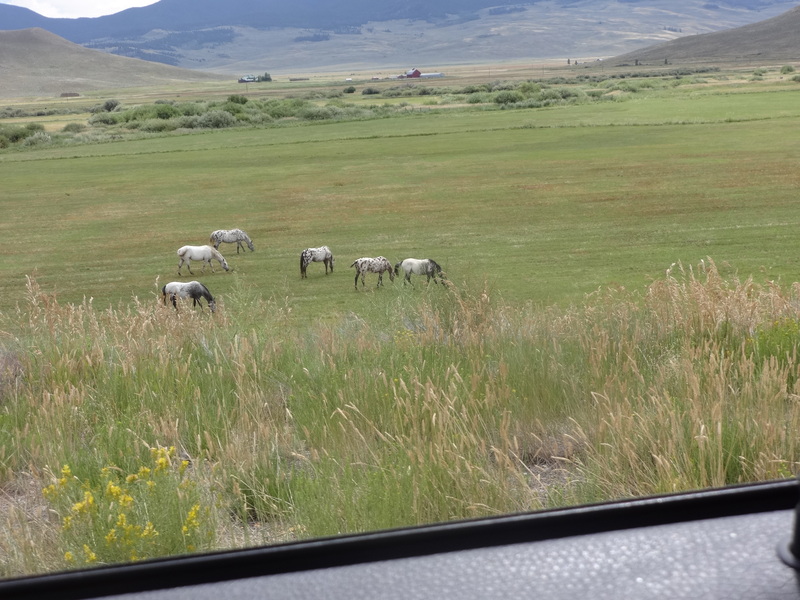 But outside town the desert and the mountain hillsides have given way to pastures in this high valley. Meals, always meals, and the ubiquitous burgers and fries, steaks and chops. But every town has its secret alternatives. And in Gunnison I find a Tibetan restaurant that fuels me up for the remaining drive. 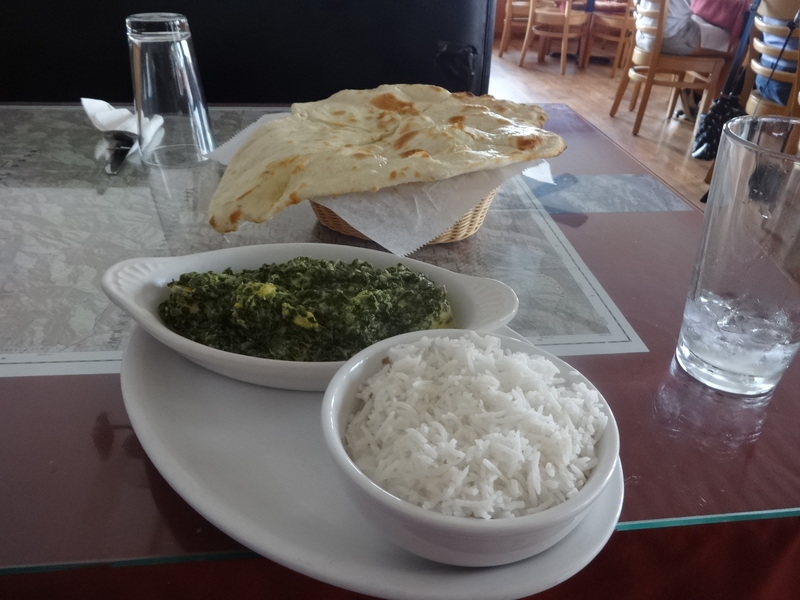 Saag chicken and naan bread in the Rockies. 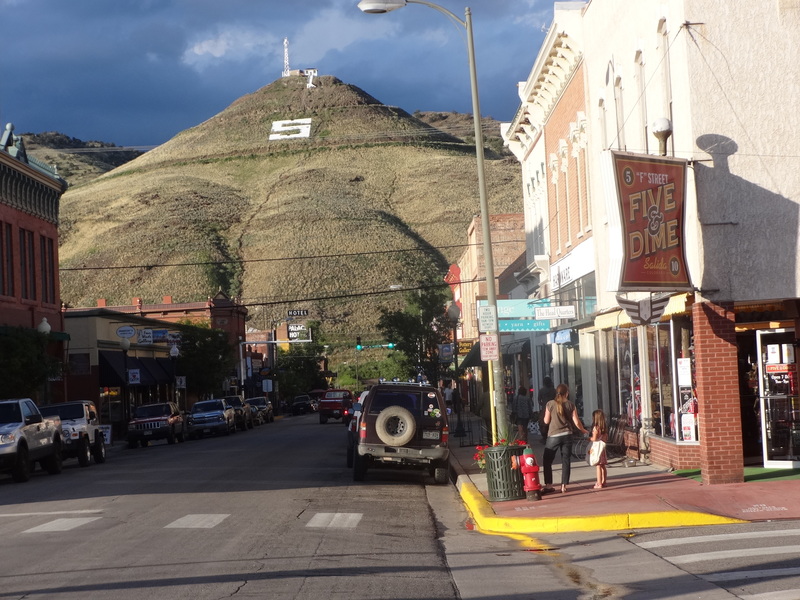 Salida seems a great place, with a more diverse economy and a lively downtown. I find a modest motel that is across the street from the aquatic center, fed, as it surely ought to be, by hot spring water. 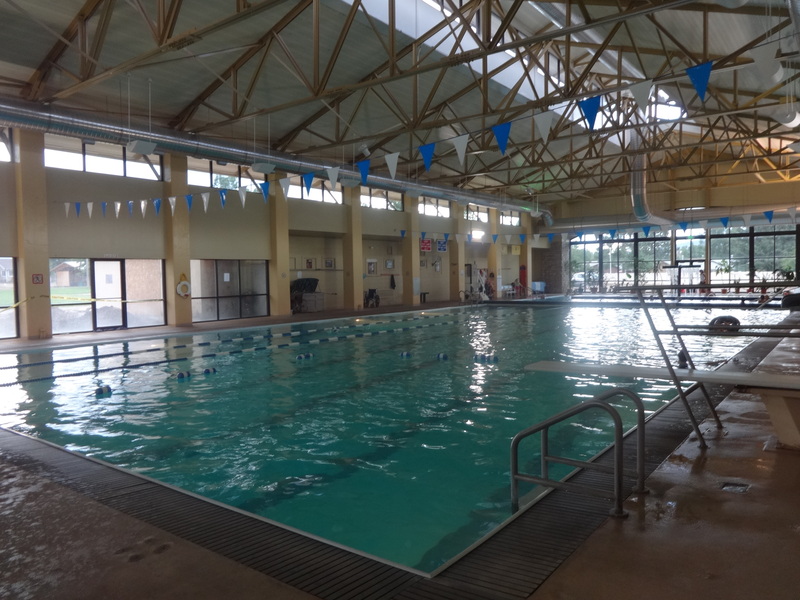 The swimming lanes were open and the water warm. A couple and I debated why Union Jacks proliferated in downtown, until someone told us a British rock band was coming soon. Downtown fronts a river at the foot of the surrounding hills. I ate outside in the cooling mountain air. 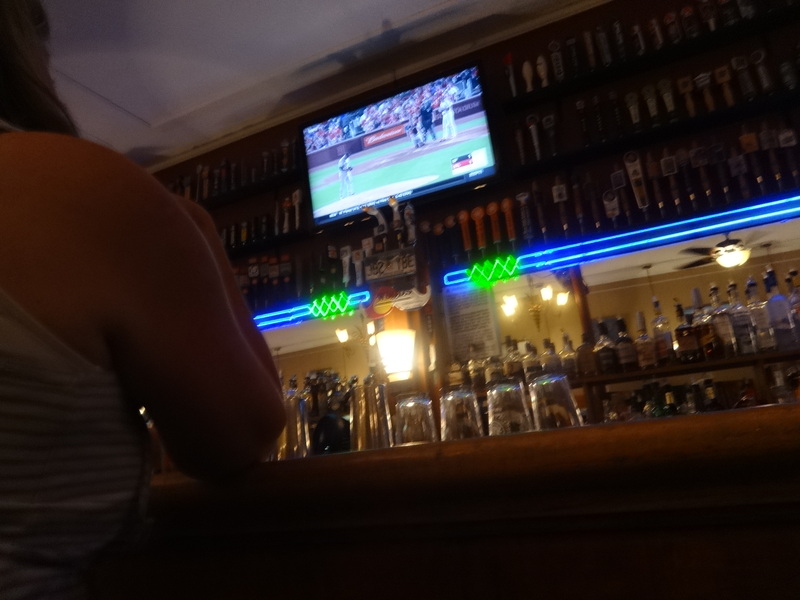 After eating I went into the bar to watch the San Francisco Giants play a game. The patrons gave the game little heed but the bar had a lively, friendly tone that made me think this wouldn’t be a bad place to live. The Giants would have won if Buster Posey’s hit, with two out in the last inning, had gone just two feet further for a home run. But it didn’t. Tomorrow it’s on to Boulder and a faculty reception that will start the new academic year.